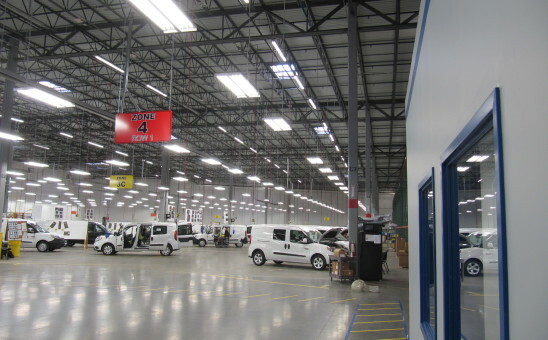 TransDevelopment provided full Development Management services for a 90,000 SF build-out project for the Dodge ProMaster City Transformation Center. TransDevelopment worked closely with Auto Warehousing Company to determine and implement operational flow, site planning, and phasing for the project. The warehouse upgrade project included an extensive lighting project, electrical and compressed air services, slip-free floor coatings, and specialty systems including a leak test system and robot. The project also established a 5,000 SF office, break room, and employee restroom area. The Transformation Center program required extensive rehabilitation and security improvements to storage and haulaway lots in the vicinity of the Transformation Center, which TransDevelopment also managed.